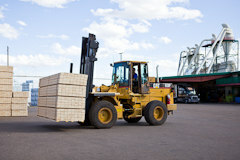 Our Acheson plant sits on a 15 acre paved lot, and is equipped to produce 200 million board feet of specialty softwood lumber wood products per year. We produce decking, fencing, industrial, manufacturing, pre-fab, DIY and other limited dimension products for markets in Canada, the US, China and the Pacific Rim. 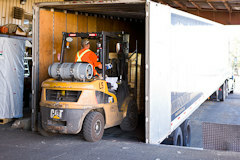 We also produce 30,000 access mats each year, used for temporary roads and work platforms in the North American construction and energy sectors. As we continue to expand, we are exploring emerging markets in India and the Middle East.